Now this one is just too funny. So true, yet so funny: 21 Things to throw away right now. I'm tired of all the little bottles, packages, bubble stuff!! I made one gallon of bubbles, threw out all these little bottles full of bubbles that don't work, saved all the wands in a container and there you have it. Simple & Easy bubble fun with great big BUBBLES!!!! 1 Gallon of Water, 1/2 cup of Corn Syrup, 1/2 cup of Dawn Soap, put in a Gallon with lid so you can save it, shake it up and use again! 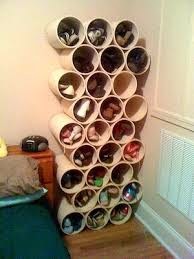 Closets; Hard to let go of some old clothes?? 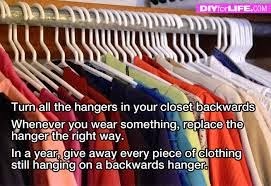 Put all your hangers in facing the opposite way. After each use, you will automatically put them in facing the correct way. After one year when it comes to rummage sale time, any hanger facing the opposite way meant you never wore that piece of clothing for a year so its time to say bye-bye! Use pop tops to double up a hanger! Once you wear an item put it back in your closet on the right side, continue to do so, then once rummage sale time comes, all the clothes you have worn are "right" and all the cloths you haven't worn are the ones left over on your left! Seriously?! 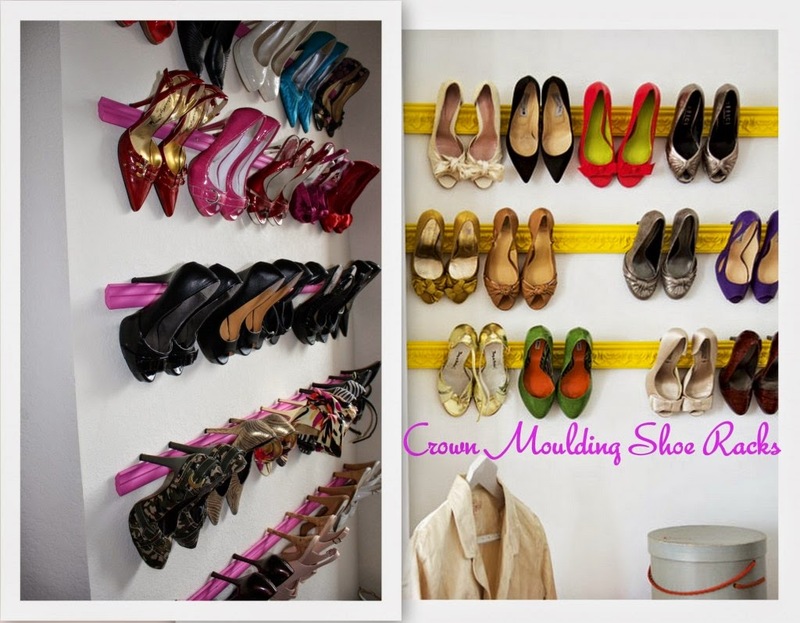 Who are we trying to kid... what woman gets rid of shoes and the only organizing tip I have for this one is keep them in the box, high up, where reachable tiny little hands can't get to until you are ready to play dress up with your little ones and let them go nuts playing shoe store! This page is so awesome!! Great tips lady! !